MAME4all arcade emulator for the GPH Wiz. Neogeo, it's bad, neogeo geni implossibled to disabel, 1touche is reserved, you are a solution? 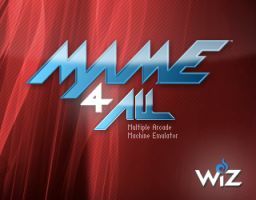 Great job on Mame4all! Is it possible that the screen resolution of games like Popeye and Tapper be scaled down to be playable on the Wiz in a future release? Great job on Mame4all. I also would like updates to scale down to fit screen on future release (want to play Rampage). good emulator even if do I have a strange problem to start kof 98 and mslug2, also happens to you? what causes games to run for ,ohh about half of the game and crash, even the first TMNT does that now since the wiz firmware update. Great! I tried two games - battlezone and burgertime. Especially the 2nd game made my girlfriend very happy. THANKS !!! Superb job. Arcade games in my hand. Who'd of thunk it just a few years ago? Does someone know how to tell me because in some games neogeo type mslug2 happens this? Metal Slug 2 - Super Vehicle-001/II (mslug2)... loading ms2_p1.rom loading ms2_p2.rom loading ms2_s1.rom loading ng-sfix.rom loading mole-geo.rom loading ng-sm1.rom loading ms2_m1.rom loading ms2_v1.rom loading ms2_v2.rom loading ms2_c1.rom loading ms2_c2.rom readroms (): unable to allocate 16777216 byteses of RAM unable to initialize machine emulation I beg you to help me, this error is making me become rabid!!! Anyone know if there's a way to clear the controls for an action when assigning buttons from the MAME config menu, so it doesn't just keep assigning more and more button mappings to the same action? On PC versions of MAME, I'd just press Esc, but I can't find the Wiz version equivalent, if any. Thanks! crelk: Press the "Menu" button. sbock: Odd, doesn't seem to work for me. Thanks, though. crelk: In fact it doesn't clear the complete settings. You will see a "1" but the joystick bindings are gone. Works great for me. Can someone tell me why none of the emulators use the 3D hardware of the GP2x WiZ? Can someone not program an OpenGL Glide Wrapper? And why do some emulators have a line across the screen and others do not? Thanks! I'm a noob to all this and guess I dont know how to put roms on this emulator. It keeps telling me no games are found...Were do i put the roms? @ninjapleasezzz You put the roms in a folder called "roms" at the root of your SD card, I had that same problem till I did some googling. But now that that is fixed I have a new problem, whenever I select a rom on the menu and configure it the screen just goes black and stays black. I fixed the other problem it seems I forgot to put "mame" in the root directory of my SD as well. Also would it be possible to implement a button combination that would bring you back to the menu? Works great but please god I need Wrestlefest!!! Any chance we can have this game added to the next update please???!! I will pay!! I'd like to see Night Slashers in the next update. Otherwise this is a great port. OK, it's working now. Either the main folder has to be named literally "mame" or ZipGenuis screws up the extract (second tray was with a WinRar extracted archive) Works great now. Thanks! 4/15/2010 Is there a way to CLEAR a key/button mapping through the interface? All I seem to be able to do is add more buttons to the existing mappings. Someone above said to press "menu", but that's not working for me. I do get the weird inverted "1" in the field, but if I try to put anything else back in the field, all of the previous mappings show up with the new one added on top of it. I swear I used to know how to do this at some point (at least on the F100), but I can't figure it out now and I can't find it documented anywhere. At this point I'd gladly settle for editing mapping files manually. I can only wish timekillers will be emulated one day. I am still lovin it. Great job. Accidentaly I've launched mame_vm.gpe file, my wiz have been freezed on loading screen, so I turn it off. When I turned it on the NAND memory have been cleared and clock restarted. Now usb transfer to NAND doesn't work and clock is restarted every time when I turn wiz on. Does anybody know what's happening? How do i run a 7z file? I downloaded this yest yesterday as a zip and it worked fine. I accidentally deleted it and came back to download it again and now it's 7z and I don't know how to run this. That and how do I get this emulator to run Pac-Man? DarkShire, not sure why you're even dealing with 7z archives. MAME can run .zip files with the arcade ROMS inside of them. Most of them come pre-packaged that way, just throw them in the rom folder and load it with the B button, plain and simple. And Pac-Man? just obtain a Pac-Man rom and put it in the rom folder. Darmakwolf... the 7z I was referring to was the file you get from this very page. I have since gotten it to work. The issue with Pac-Man was apparently the roms I had were incompatible with this version of Mame4all and I had to get older ones. It's not possible for me to go to a game-menu by pressing "Menu"+"Select". In an earlier version it was. What happend? Is there any way I can get WWF WrestleFest and WWF Superstars to play on Mame4all I'm so tired of not seeing it on the list come on people let's put it on the list here. NOIZ, I usually press L + R + menu + select, it jumps right back to the menu. Not sure if that was the intentional combination, but it works for me! Darmakwolf: L+R+menu jumps back to the MAME-menu. Right. But in a game menu+select should jump to a config screen for the game where i can config buttons and other things. But this don't work for me. I noticed that i had problems with MAME in combination with Win2X. I flashed my Wiz to the new firmware 1.2.6 and MAME 2.5 works fine now. Ok,I have put the mame emu on the root of my sd card,as well as the roms, still nothing? plz help. I have also done this with the neo goe emulator. It starts the emulator, shows the games in red, and says 0 games available. ??? Awesome! This will run all my favorite generic cookie cutter arcade games like tmnt and the simpsons! Lol. Golden axe slows down but is playable i guess. WTF IS THIS FOR CRAP? THE PROGRAMMERS OF THIS SHOULD BE VERY ASHAMED, ROLLINH THUNDER RUNS ON A 4MHZ COMPUTER IN THE ARCADE AND MY WIZ RUNS AT 533 MHZ AND IT SLOWS DOWN 30 PERCENT? IF MY GRANDMOTHER LEARNS BASIC TOMORROW SHE CAN WRITE A BETTER EMULATOR IN 15 MINUTES! SHAME ON YOU, SHAME ON YOU!